Offer excludes applicable taxes, license, and fees. Lease is example only and applies only to new 2019 Toyota Camry Model #2532. Lease available only through Toyota Financial Services to well-qualified buyers with premium-rated credit. No security deposit required. You pay excess wear and tear, plus $.15 per mile over 36,000 miles at lease end. Lease payments may vary from dealer to dealer based on final negotiated price and equipment chosen. Example vehicle may not be available at all dealers. Must take delivery by 04-01-2019. Offer available only through Toyota Financial Services to well-qualified buyers with premium rated credit. 60 monthly payments of $17.48 per thousand borrowed. No down payment required if qualified. Offer ends 04-01-2019. Deferred payments available on loans up to 60 months through Toyota Financial Services and not available on leases. Interest accrues from date of purchase. Some additional restrictions apply; see dealer for details. Offer ends 4/1/19. ** Please note that Stevens Creek Toyota Strives always to have complete and correct pricing, fees and offers, equipment, options and images on all our vehicles but due to the fact that there are several technology software and portals that are used to update our sites and Stevens Creek is not liable for incorrect information being shown on our website and or 2nd or 3rd party digital sites, even though we make every effort to catch any errors that there may be, and get them corrected asap, we again will not be held liable for any errors. Offer excludes applicable taxes, license, and fees. Lease is example only and applies only to new 2019 Toyota Corolla Hatchback Model #6272. Lease available only through Toyota Financial Services to well-qualified buyers with premium-rated credit. No security deposit required. You pay excess wear and tear, plus $.15 per mile over 36,000 miles at lease end. Lease Cash is only available through TFS and must be applied to special lease offer. Lease payments may vary from dealer to dealer based on final negotiated price and equipment chosen. Example vehicle may not be available at all dealers.$2,749 due at signing (Just $1,999 after $750 lease cash is applied. )Must take delivery by 04-30-2019. Offer available only through Toyota Financial Services to well-qualified buyers with premium rated credit. 60 monthly payments of $17.48 per thousand borrowed. No down payment required if qualified. Offer ends 04-30-2019. Must take delivery by 04-30-2019. 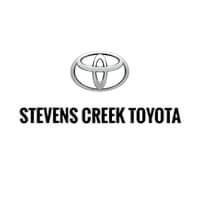 *** Please note that Stevens Creek Toyota Strives always to have complete and correct pricing, fees and offers, equipment, options and images on all our vehicles but due to the fact that there are several technology softwares and portals that are used to update our sites and Stevens Creek is not liable for incorrect information being shown on our website and or 2nd or 3rd party digital sites, even though we make every effort to catch any errors that there may be, and get them corrected asap, we again will not be held liable for any errors. Offer excludes applicable taxes, license, and fees. 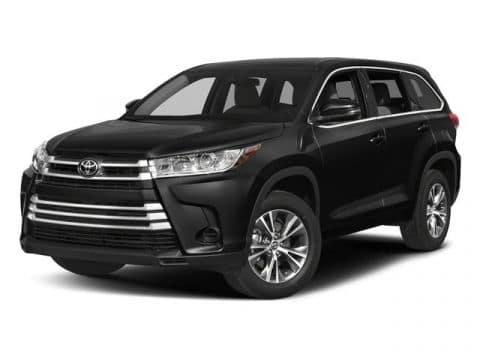 Lease is example only and applies only to new 2019 Toyota Highlander Model #6946. Lease available only through Toyota Financial Services to well-qualified buyers with premium-rated credit. No security deposit required. You pay excess wear and tear, plus $.15 per mile over 36,000 miles at lease end. Lease payments may vary from dealer to dealer based on final negotiated price and equipment chosen. Example vehicle may not be available at all dealers. Must take delivery by 04-30-2019. Offer available only through Toyota Financial Services to well-qualified buyers with premium rated credit. 60 monthly payments of $17.05 per thousand borrowed. No down payment required if qualified. Deferred payments available on loans up to 60 months through Toyota Financial Services and not available on leases. Interest accrues from date of purchase. Some additional restrictions apply; see dealer for details. Offer ends 04-30-2019. Must take delivery by 04-30-2019. *All prices plus Tax, DMV and $80 Documentation Fee. All advertised interest rates are subject to buyer qualification. All vehicle specifications, prices and equipment are subject to change without notice. See above for information on purchase financing and lease program expiration dates. Prices and payments (including the amount down payment) do not include tax, titles, tags, documentation charges, emissions testing charges, or other fees required by law or lending organizations. The estimated payments may not include upfront finance charges that must be paid to be eligible for the purchase financing program used to estimate the APR and payments. Listed Annual Percentage Rates are provided for the selected purchase financing or lease programs available on the current date. Program expiration dates reflect currently announced program end dates, but these programs are subject to change at any time. Offer excludes applicable taxes, license, and fees. 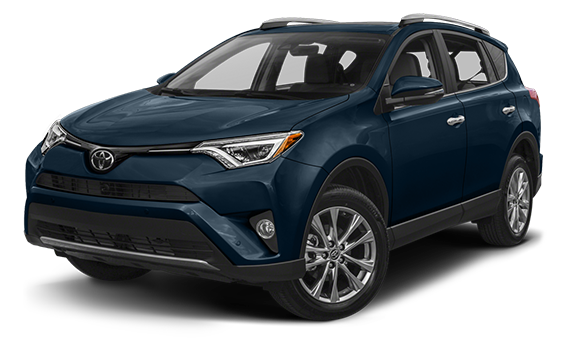 Lease is example only and applies only to new 2019 Toyota RAV4 Model #4430. Lease available only through Toyota Financial Services to well-qualified buyers with premium-rated credit. No security deposit required. You pay excess wear and tear, plus $.15 per mile over 36,000 miles at lease end. Lease payments may vary from dealer to dealer based on final negotiated price and equipment chosen. Example vehicle may not be available at all dealers. Must take delivery by 04-30-2019. Incentive from Toyota in addition to standard APR financing when vehicle is purchased and financed through Toyota Financial Services. On finance contracts, incentive will be first applied to the down payment. One incentive per finance transaction. Incentive is available on approved credit to qualified customers through Toyota Financial Services. Not all buyers will qualify. Offer may not be combined with other offers unless specified otherwise. Dealer fees may apply. Delivery must be taken from new dealer stock by 4/30/19 and is subject to availability. *All prices plus Tax, DMV and $85 Documentation Fee. All advertised interest rates are subject to buyer qualification. All vehicle specifications, prices and equipment are subject to change without notice. See above for information on purchase financing and lease program expiration dates. Prices and payments (including the amount down payment) do not include tax, titles, tags, documentation charges, emissions testing charges, or other fees required by law or lending organizations. The estimated payments may not include upfront finance charges that must be paid to be eligible for the purchase financing program used to estimate the APR and payments. Listed Annual Percentage Rates are provided for the selected purchase financing or lease programs available on the current date. Program expiration dates reflect currently announced program end dates, but these programs are subject to change at any time. Offer excludes applicable taxes, license, and fees. Lease is example only and applies only to new 2019 Toyota Prius Prime Model #1235. Lease available only through Toyota Financial Services to well-qualified buyers with premium-rated credit. No security deposit required. You pay excess wear and tear, plus $.15 per mile over 36,000 miles at lease end. Lease payments may vary from dealer to dealer based on final negotiated price and equipment chosen. Example vehicle may not be available at all dealers. Must take delivery by 04-30-2019.